Entrepreneur Elon Musk said Thursday that Texas is in the driver's seat for a test track for a transportation system known as the Hyperloop. He also said that a SpaceX facility wouldn't have been built in Texas without economic incentives. During Thursday's interview, Musk said the facility would be privately funded and not require the kind of incentives that his private space firm, SpaceX, received to develop a test facility in Texas. Musk also discussed taking state and local economic incentives to build a SpaceX facility in South Texas. 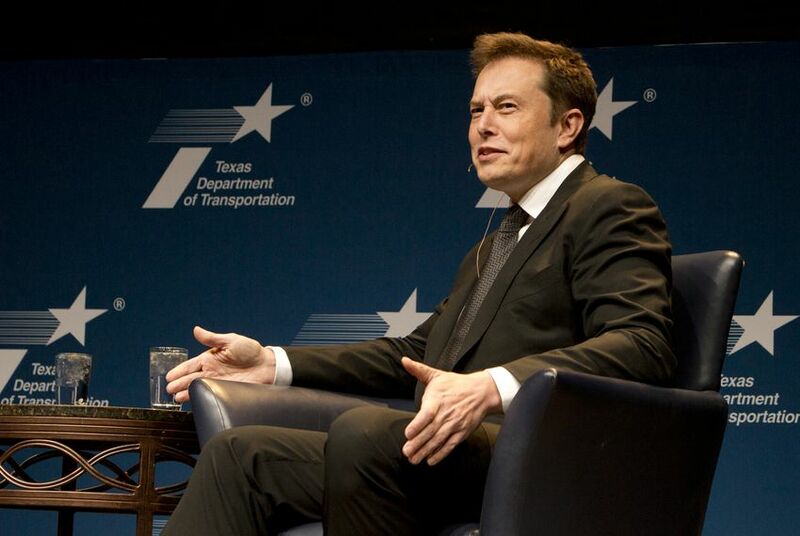 Smith noted the debate among state legislators over the future of economic incentive programs and asked if Musk would have located the SpaceX facility in Texas without the incentives. Musk said he would have chosen to locate the facility elsewhere. “We wouldn’t have come because it would have been quite rude to not offer us incentives,” Musk said. “A state has to show it really wants a company to be there." Musk said it’s important for a state to show it’s willing to invest in a company that will have a positive impact on the local community, even if the incentives don't have a big impact on that company's bottom line. Musk's bid to sell Tesla cars directly to Texans comes after a failed bid to win support for the plan in 2013. Musk has beefed up his lobbying team to sway lawmakers. The owners of state auto dealer franchises have lobbied aggressively against such proposals. Musk said Tesla forged a compromise in New York that allowed the company to open five Tesla stores for direct sales. He suggested that a similar compromise in Texas might allow for seven stores to account for the state’s larger population. He also said he was open to working within the franchise system “down the road” but not with any companies that have been blocking his efforts now. “If they’re punching us in the face, they shouldn’t expect we’re going to be their friend,” Musk said. Bill Wolters, president of the Texas Automobile Dealers Association, said the current system is working just fine. "There is no need to carve out a special exception for a California corporation when the existing Texas dealer system provides the most efficient vehicle delivery system for Texas and Texans," Wolters said. "Texas franchise dealer laws provide a wide network of 1,257 dealerships in 284 Texas towns who all compete with each other to provide the best price and the highest level of service." After the transportation forum interview, Musk appeared at a Tesla rally outside the Capitol. Standing by several Tesla cars on display, supporters cheered Musk’s arrival. Musk took several questions from the energized crowd. "We're just looking fundamentally for the people of Texas to have the right to decide how they want to buy their cars," Musk said.